Hollis Johnson/Business InsiderA Chipotle restaurant is at the center of a foodborne illness that sickened nearly 650 people. 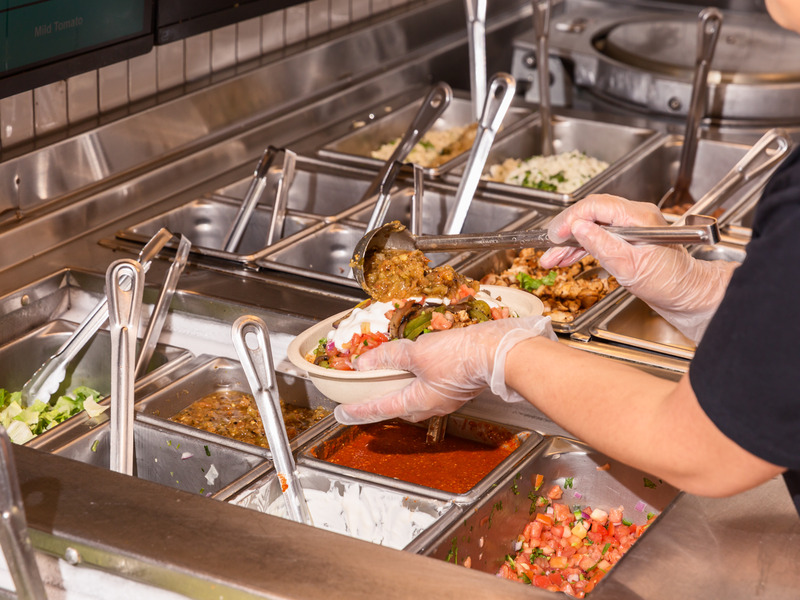 Health officials have discovered the source of a foodborne-illness outbreak that sickened at least 647 people who ate at a Chipotle restaurant in Powell, Ohio. Stool samples taken from customers who got sick after eating at the restaurant tested positive for Clostridium perfringens, a foodborne illness that occurs when food is left at an unsafe temperature, a spokeswoman for the Delaware General Health District said. “Chipotle field leadership will be retraining all restaurant employees nationwide beginning next week on food safety and wellness protocols,” Chipotle CEO Brian Niccol said in response to the outbreak. Health officials say they have identified the cause of a foodborne-illness outbreak stemming from a Chipotle restaurant in Powell, Ohio, that sickened at least 647 people. He also said restaurants would be adding a “recurring employee knowledge assessment” to their daily food-safety routines. “Chipotle has a zero-tolerance policy for any violations of our stringent food-safety standards, and we are committed to doing all we can to ensure it does not happen again,” he said. Chipotle shares fell more than 4% Thursday afternoon. Business Insider reported last month that Chipotle temporarily closed the restaurant at the center of the outbreak, at 9733 Sawmill Parkway in Powell, on July 30 after receiving reports of customer illnesses. Reported symptoms included vomiting, diarrhoea, and stomach pains. Customers who reported getting ill after eating at the restaurant visited the location between July 26 and July 30, according to the Delaware General Health District. No customers have reported getting sick after eating the restaurant since it reopened. Health officials have inspected nearby Chipotle restaurants since the illness outbreak and found additional violations. In two of the restaurants, inspectors found boxes of raw chicken “leaning” on other packaged foods, according to health records. Inspectors also found foods that were not being held at proper temperatures.